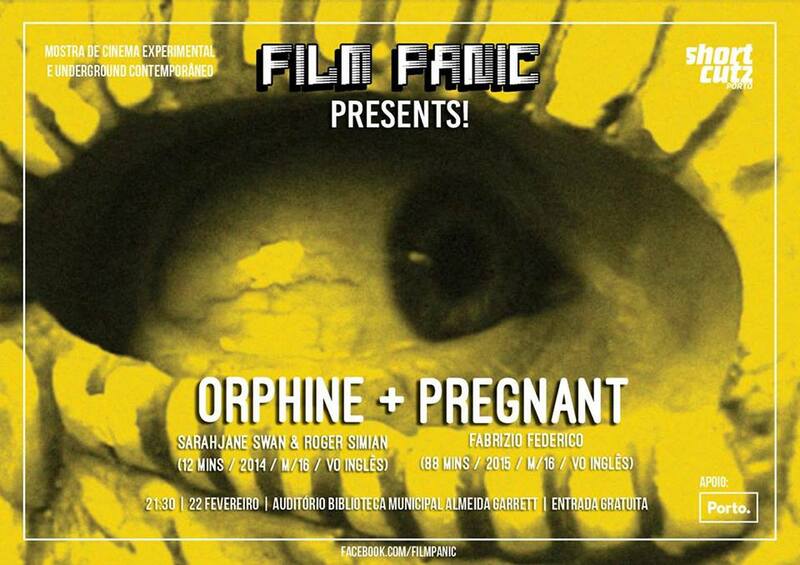 In this session we are delighted to present ORPHINE, a short film by Sarahjane Swan & Roger Simian, followed by PREGNANT, a feature by Fabrizio Federico. An experimental short film which grew out of an installation project by Sarahjane Swan & Roger Simian, Orphine is about one woman's descent into the Underworld, to confront her sister, Death, and bring back her unborn child. Orphine slips between borders, between the realms of the living and the dead, consciousness and the dream. Personal history is filtered through the lens of mythology in a film which draws from ancient myths and ancestral tecniques of oral traditions of storytelling as well as modern reinterpretations of cinema. Pregnant is a personal exploration of the world shaped by social media and the struggle to live an authentic life within it. This feature film looks at technological addiction, voyeurism, self-(un)awareness, spiritual stagnation and alienation, using the language of cinema to guide us through the experience of a consciousness seeped in this reality. It is a work of cinema that gives us a true expression of the modern condition. Orphine and Pregnant will be presented in their original version, in English, without subtitles. Film Panic Presents! is a monthly showcase of contemporary underground and experimental films, bringing to Porto a range of unique films, cinematic visions and explorations of bold filmmakers who are challenging and expanding the art of cinema today.